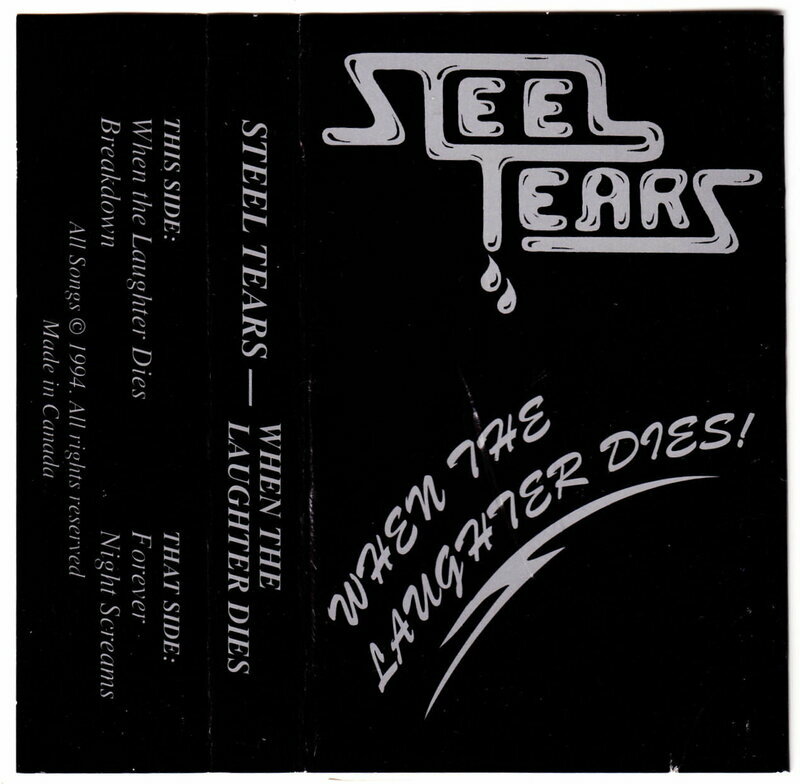 \m/ 80's metal \m/ • View topic - Steel Tears - 1994 - When The Laughter Dies! Steel Tears - 1994 - When The Laughter Dies! Yes I know, you've never seen it before and you're now thinking "its my only chance, it'll never come again"...well its true. STEEL TEARS demo tape is so rare that even the hardest hitting collectors don't know / have it. I did a fanzine many decades ago & amassed many rarities, here's a chance to own a rare piece of Northern Canadian rocker history. Great female vocals, crisp studio production, great anthems, perfect drums/bass, and wild fuzzy guitar leads. What I love the most is that its a high energy balls-out rocker without any contrived poseur attitude; they rocked the small town of Whitehorse. A total 80s hair metal rocker dream.